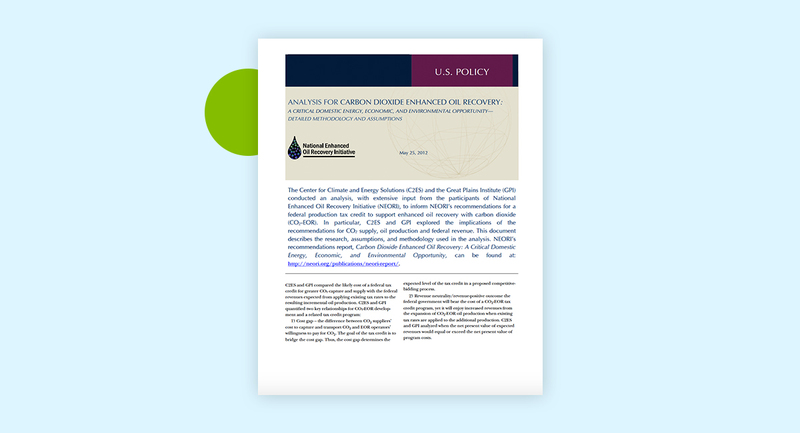 The Center for Climate and Energy Solutions (C2ES) and the Great Plains Institute (GPI) conducted an analysis, with extensive input from the participants of National Enhanced Oil Recovery Initiative (NEORI), to inform NEORI’s recommendations for a federal production tax credit to support enhanced oil recovery with carbon dioxide (CO2-EOR). In particular, C2ES and GPI explored the implications of the recommendations for CO2supply, oil production and federal revenue. This document describes the research, assumptions, and methodology used in the analysis. NEORI’s recommendations report, Carbon Dioxide Enhanced Oil Recovery: A Critical Domestic Energy, Economic, and Environmental Opportunity, can be found at: http://gpisd.net/NEORI-Report-2012. 1) Cost gap – the difference between CO2 suppliers’ cost to capture and transport CO2 and EOR operators’ willingness to pay for CO2. The goal of the tax credit is to bridge the cost gap. 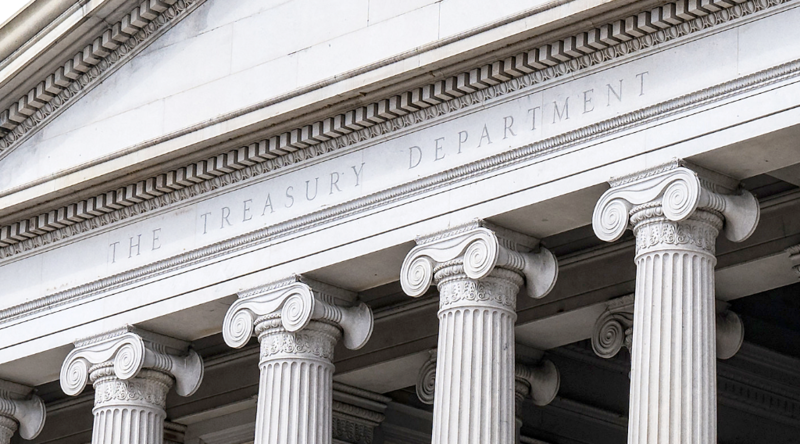 Thus, the cost gap determines the expected level of the tax credit in a proposed competitive-bidding process. 2) Revenue neutrality/revenue-positive outcome the federal government will bear the cost of a CO2-EOR tax credit program, yet it will enjoy increased revenues from the expansion of CO2-EOR oil production when existing tax rates are applied to the additional production. C2ES and GPI analyzed when the net present value of expected revenues would equal or exceed the net present value of program costs. 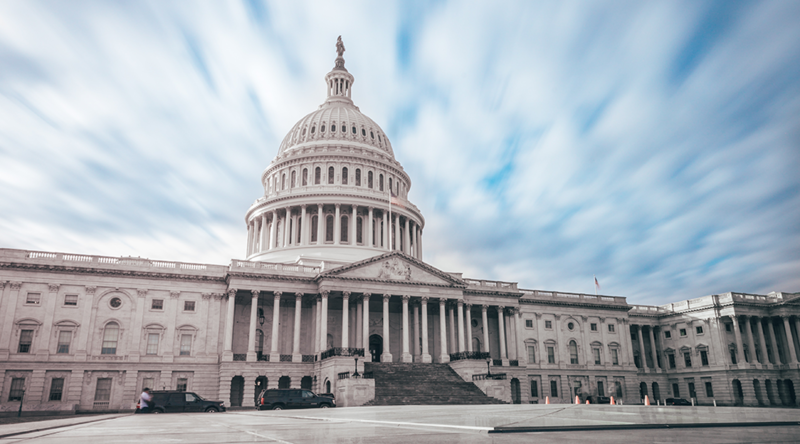 C2ES and GPI calculated the tax credit required to bridge the cost gap, and the cost and revenue implica­tions. C2ES and GPI developed input assumptions based on real-world physical and market conditions after consulting with NEORI participants and other industry experts and reviewing available literature. C2ES and GPI developed a core scenario based on “best guess” inputs and conducted several sensitivity analyses of key inputs. C2ES and GPI demonstrated that a program can be designed that will become “revenue positive” (defined as when the federal revenues from ad­ditional new oil production exceed the cost of a carbon capture tax credit program after applying a discount rate to both costs and revenues) within ten years after tax credits are awarded. Sensitivity analysis reveals that the program remains revenue positive using a realistic range of likely assumptions.